c1900 photograph of a logging camp owned by C. A. Trafton and located at the South Branch of the Big Machias River, near Ashland, Maine. The Big Machias River flows into the Aroostook River at Ashland. 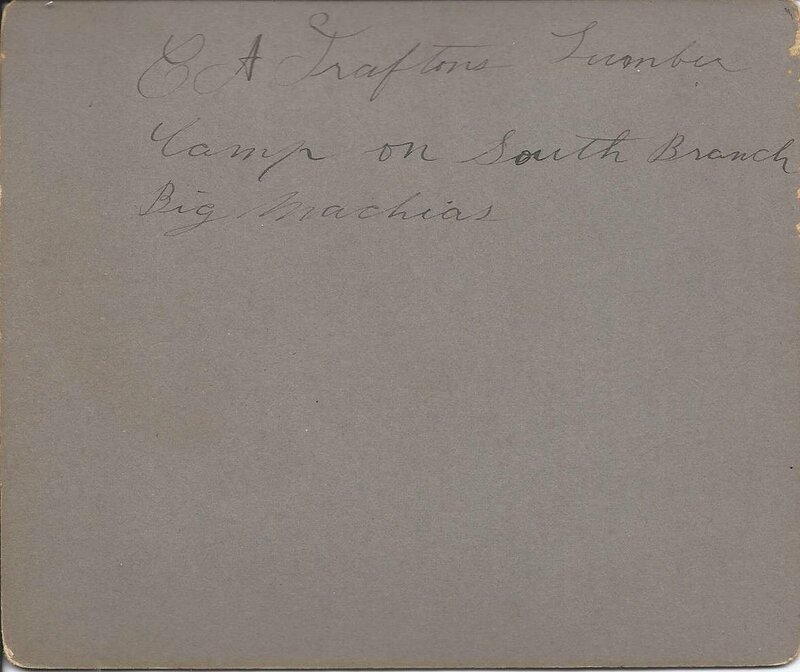 Assuming I have the correct C. A. Trafton and the correct brother, Charles Alpheus Trafton was born 7 February 1858 at Masardis, Maine, son of Eben Place Trafton and Lucinda (Ellis) Trafton. My hesitation is that the 1860 Census of Masardis, Maine, lists in the household of Eben and Lucinda Trafton a Charles born about 1852 and an Alpheus born about 1858. Hopefully a reader will clear up the mystery. 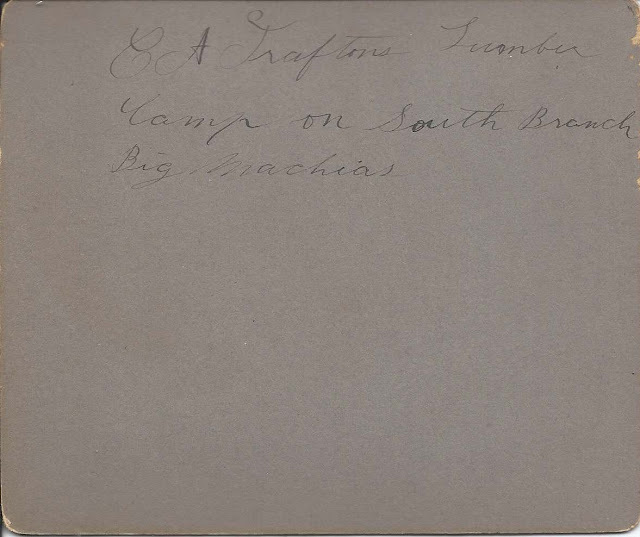 About 1880 Charles Alpheus Trafton married Mary Louise Rowe, daughter of William Henry Rowe and Mary Jane (Fitzgerald) Rowe. Mary Louise was born 16 July 1860 at Masardis, Maine. 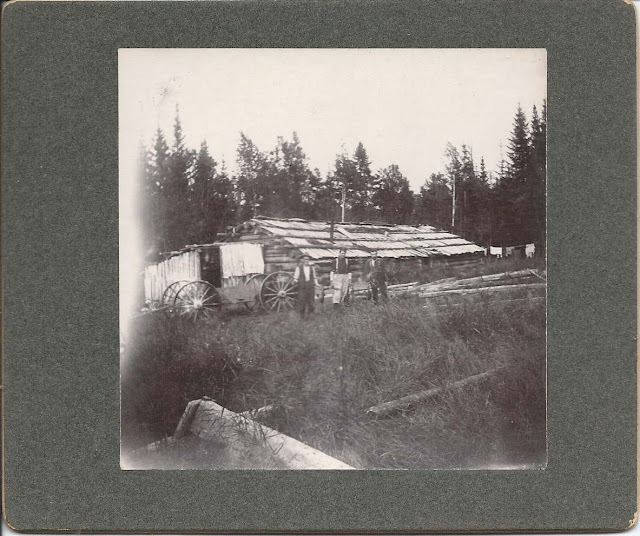 They made their home at Ashland, Maine, and had at least two children, both daughters. Charles Alpheus Trafton died in 1914. Louise lived until 1947. Zoom in one click and you'll see the Big Machias River entering the Aroostook River, just south of Station Street.